The Children's Home - Charles Lambert - So many books, such little time. 'For a moment, in this passing gesture, weary with affection, exasperated at the other man's stubbornness and refusal to understand, Morgan saw David before him, the man David might have become. "Have you learned nothing from all this?" Morgan is a disfigured man who keeps himself to himself in his mansion on his estate, living with only one other person, his elderly housekeeper, Engel. One ordinary day, a baby is found by the back door and Morgan decides to bring her in and raise her as his own. But the next day, more children appear out of thin air, ‘Morgan was stand by the drawing room window and gazing out into the garden when a square of air above the lawn seemed to ripple as though it were silk and a knife had been drawn across it, and a child appeared on the lawn and began to walk towards the house, perfectly confident, it seemed, that she would be received.’ Every day, more and more children arrive, on their own or in groups. When the ministry of welfare turn up at his door, due to rumours of Morgan having forty-four children running around his estate, they end of taking the first child, Moria. 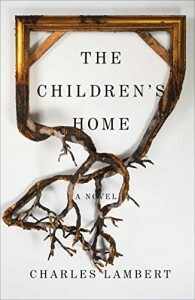 Morgan and a handful of other children go out in search for her, ending up at a factory that his sister runs and turns out to be a family business, but what do they do with children there? At the beginning of each chapter, Lambert writes a little sentence to sum up what’s going to happen in the following chapter, ‘Chapter Three... In which medical help us required and Morgan is shocked by an image in water.’ I found that this spoiled the book a little bit as it basically tells you what happens before you’ve read it. Some of the content of the story was described in incredible detail that the horrific images are carved into my brain and won’t go away, no matter how many Disney princess film I watch. I did find that this story with its 202 pages was too short for all the issues it raised. I’m also not sure what genre The Children’s Home would come under as I heard that it’s classed as a fairytale but I do not see that at all.